Looking for somewhere to turn, somewhere to run. How can I get out of this fog. I can’t see in front of me or either side of me. I surely do not want to try and look behind me. Unable to get a sense of direction, I turn to the only person I have for guidance. I have nobody else, they are all gone. The same person I run to for guidance is the same person who has me blindfolded by his lies. My mind is being suffocated by his poisonous tongue. It’s my fault. I can never do anything right. I’m crazy he says. So he must be right. He’s always right. He knows me better than I know myself. Who am I? My identity seems to have slipped through the cracks of my fingers. Through the cracks of my mind. My identity is not my own. I watch as it slips through the cracks of time. The fog thickens around me. I feel myself weakening the longer that I am here. I don’t want to fight anymore. I just want to give up. Time to throw in the towel. Fighting only wastes more energy. Maybe this is where I am supposed to be. Maybe this is who I really am. Maybe it’s who I’ve always been? Oh my god he has been right this whole time? I don’t know how much longer I can last. How much more can I take? I begin to raise my white flag to surrender. Just as I was about to give up. Right before I raised the flag, I saw a glimmer of light breaking through the fog. HOPE! Hope has found me! Hope has come to my rescue! The fog starts to dissipate. I begin to feel my strength slowly return to me. I am becoming more alert of my surroundings now. I begin to see the reality for what it really is. I realize that this is not where I am supposed to be. This is not what I deserve. I deserve so much more. I have to get out of here. I have to break free. He is aware of it all. He sees that I am catching on. He again lures me back into the fog. Damn! I can’t believe I am here once again. How does he do it? The process starts over again. Again…and again…and again. In the fog, at the edge of the fog. Back and forth. It’s like a revolving door. It’s hard to get out. It’s hard to escape. Always questioning yourself, always second guessing your thoughts, your perception, your memories. Then one day you realize you are not the same person who you once were. You are an empty shell. We need to listen to our instincts. We cannot stay in this same place. 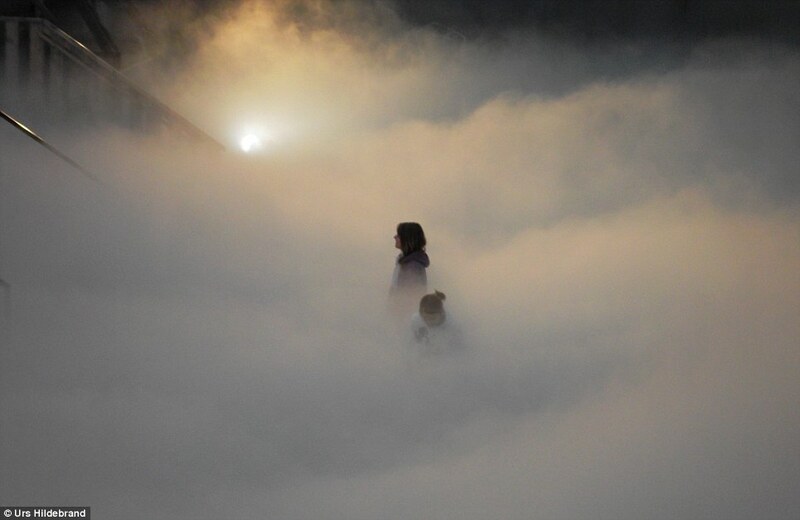 We have to walk out of this fog and not look back. We have to have hope and know that there are clearer days ahead of us. We can make it out and we will make it out! This entry was posted in abuse, Domestic Violence, October, survivors and tagged abuse, domestic violence, domestic violence awareness, Domestic Violence Awareness Month, Gaslighting. Bookmark the permalink. ← Gaslighting- What is it?